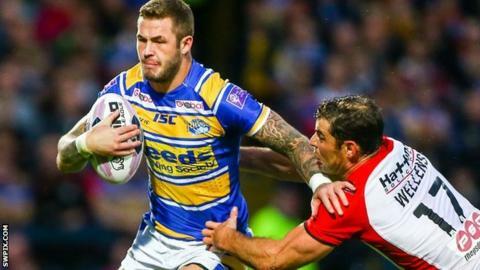 The RFL is to look into claims Leeds Rhinos full-back Zak Hardaker allegedly used homophobic language in his side's defeat by St Helens on Friday, BBC Look North understands. The 22-year-old England international was banned for five matches earlier this season after being found guilty of homophobic abuse. If found guilty he could face an eight-match suspension. Hardaker helped the Rhinos win the Challenge Cup last month.